The O'Neils, who have lost brothers and sons into the bowels of London's East End, keep watch over their one remaining young male, Seamus. Meanwhile, Rosh Allen mourns the loss of her husband. Aided and impeded by her mother, she struggles to raise three fatherless children. With the help of a kind-hearted neighbour, her wounds begin to heal. Tess and Don Compton are on the verge of separation. But what really lies behind her desire to live on the posh side of the street? Behind the three families, two men are at work. One will do serious damage; the other will reunite a clan that goes all the way back to ancestors thrown ashore from the ships of the Spanish Armada. Funny, witty and loving. 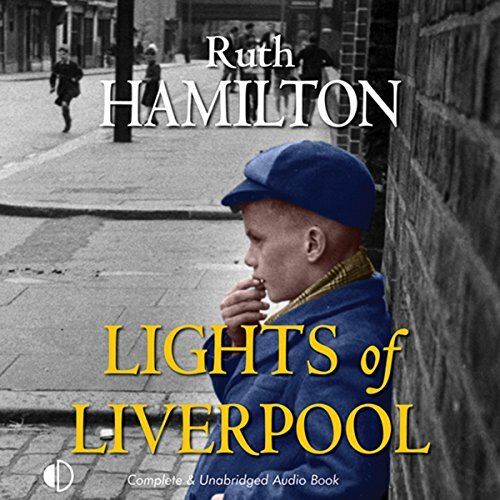 Ruth Hamilton is amazing and Marlene Sidaway narrates so magnificently. Highly recommended. although there is humour in the story (mainly molly) there is a lot of sadness as well which pulls at the heartstrings. there is a darker side too which is unusual from ruth Hamilton. there are also a lot of characters to keep up with as three families are involved. the reason I haven't given it a higher star rating is some information is given a number of times (I haven't got the memory of a goldfish). marlene sideway pefrorms the book very well considering the number of characters involved as well as her normal reading voice.